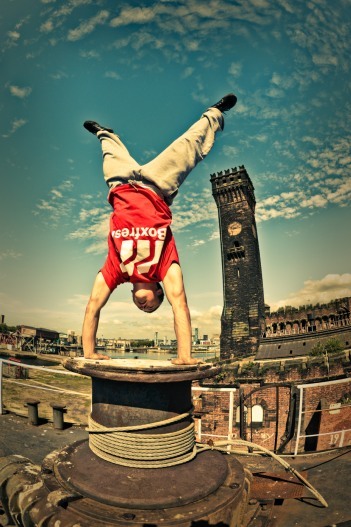 we’ve been working with free running since we began. in film, on the stage and the street. we’ve mixed it with comedy, created site specific free running tours of towns and once we made a show with Steve Colley (3x world trials champion) and fire for the Island Games closing ceremony. 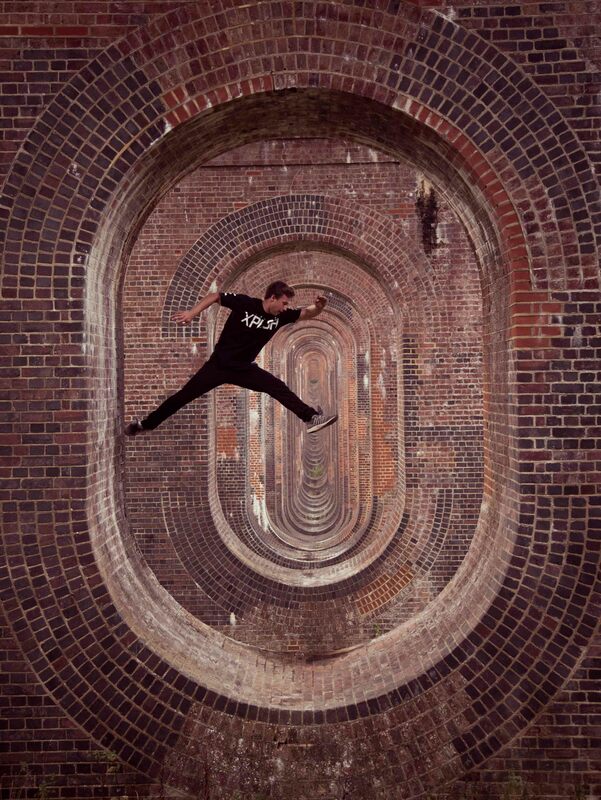 in general we have just loved being a part of the free running world. 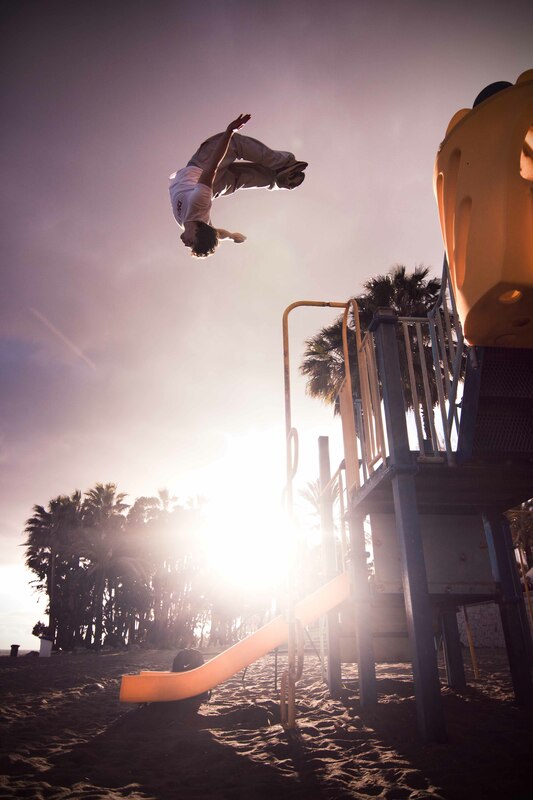 our main man is Mr. Will Sutton – an extremely talented world famous free runner and film maker, a Red Bull Art of Motion winner and general sound guy. 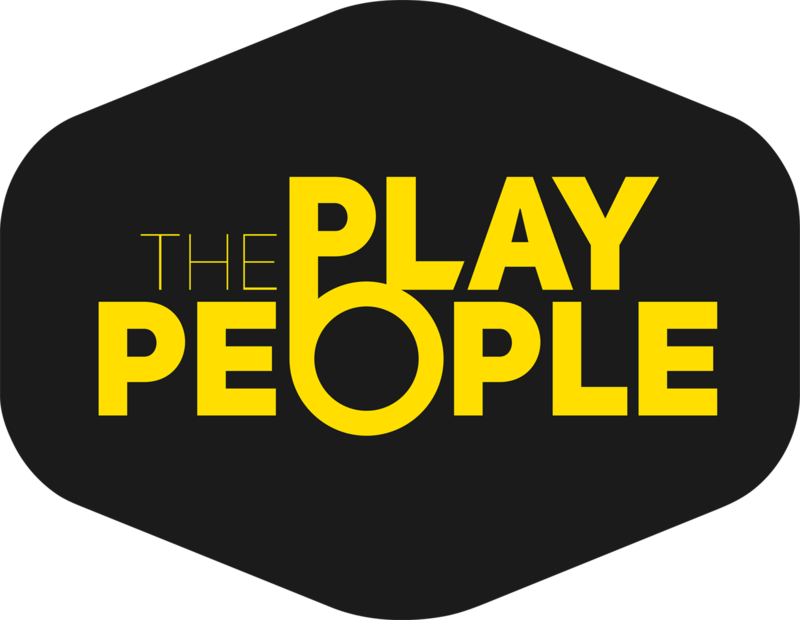 we have a large network of free runners that work in a variety of different forms; film, theatre, advertising, motion capture, walkabout, shows and comedy. 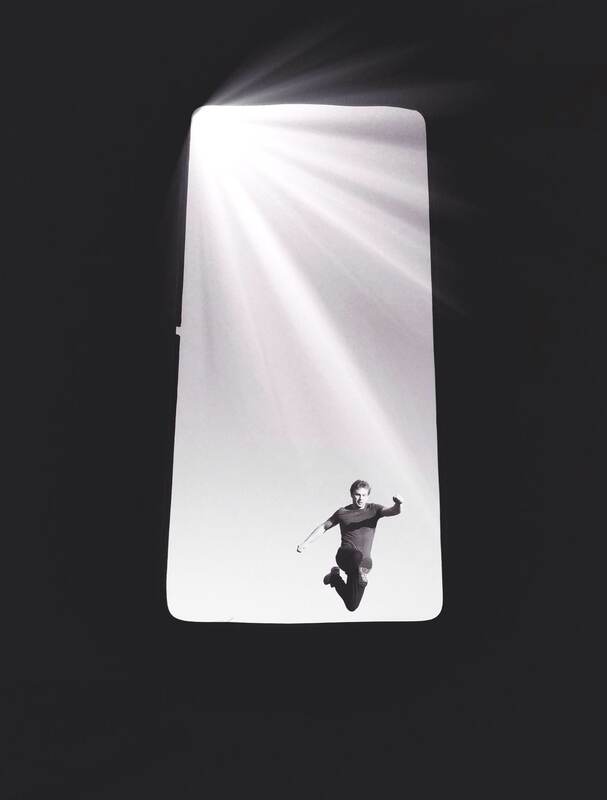 we also have a site specific show called parkour stopping. we come to your town and get in touch with the local free running community, we run workshops and choose a crew. we then choreograph a site specific show in an area – it could be walking around a city centre, a small village somewhere, in a forest – and on the day of the show have guides take people round (sometimes accompanied by live music). after our last show people said it gave them a way of looking at architecture and the town centre through a different perspective. it’s also a great way to connect a community with its youth culture and value them at the same time.